Historic true crime many not rule on TV or the internet, but it manages to dominate the hardcover end of the genre. Witness: The Mystery Writers of America has announced its nominees for the Edgar award for "Best Fact Crime" for 2007, and as is increasingly true of the Edgars, historic crime titles received almost every nod. 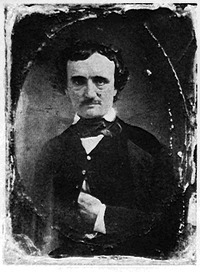 The Edgar awards are named for Edgar Allan Poe, a newspaper editor turned author who based many of his most popular stories (Marie Roget, etc.) on true crime cases. Only one of these stories is recent -- Finding Amy is about a murder in 2001. The nominations mean a great deal not only to true crime junkies like us but to libraries and bookstores; it's a tremendous honor to be nominated, and it's certain to sell books. My $0.02 on the above -- these are excellent lists. I am so happy to see so many women authors nominated. It's also great to see Kent State University Press acknowledged for its contributions to the genre along with respected author Robin Odell (even if the subtitle for Ripperology: A Study of the World's First Serial Killer makes me slap my forehead!). And I am thrilled to see The Science of Sherlock Holmes get a nomination. The Toronto Star called it "one of the year's most unusual books" and it is that. It could have been nominated for either of the above categories, and I hope it walks away with the blue ribbon in the two-horse race it's in. Indeed, several of the nominations fit both the Best Fact Crime and Best Critical categories. The six-way race for the Best Fact Crime category is a tossup; I predict it will go to Terri Jentz, whose book was also shortlisted by the New York Times on its Top 100 of 2006 -- the only true crime title on that particular list. More than one of my regular correspondents has strongly recommended that book to me, and the same is true of Ripperology and The Beautiful Cigar Girl. Now I must sign off, as I've some reading to catch up on. I have read (or rather listened to the book on CD) both A Death in Belmont by Sebastian Junger and Manhunt: The 12-Day Chase for Lincoln's Killer by James L. Swanson. I found A Death in Belmont to be interesting, but the last part of the book dragged a bit, as the author relived the inner turmoil he felt as he learned more details about the two men discussed in the book. It grew a bit tedious to see him going back and forth between thinking the Roy Smith was guilty or innocent. I realize this was part of the reason for him writing the book, but I still felt it got a bit long-winded near the end. Manhunt was a terrific book, full of personal correspondence from Booth and eyewitness accounts of the tragic scene at Ford's Theatre. It went into great detail about how Booth had planned to escape and followed him as his plan slowly fell apart and led to his eventually being found by Union soldiers. I would highly recommend this book to anyone who is interested not only in historical crime, but in history in general, since he gives you a sense of what the United States was like at the time of Lincoln's assassination. I can personally recommend two of those titles: "The Beautfiul Cigar Girl" and "Manhunt." "Manhunt" has all the accuracy of another Lincoln Assassination book, "Blood on the Moon," but is told here in a fast-paced "fictional thriller" way. I tore through the book in just a couple days, and loved it! I want to read it again, and I don't think I've ever felt that way about ANY true crime book, even the excellent "literary" ones. "Cigar Girl" is drier, but still very good. True Crime AND Edgar Allan Poe in the same book? Who can resist? ?